"If we have to use force, it is because we are America. We are the indispensable nation." As a matter of very fact, regardless to the reality in global politics that the Cold War was over in 1989, Washington continued to drive toward the getting the status of a global hyperpower at any expense for the rest of the world. Here is very important to stress that, basically, during the Bill Clinton’ administration, the US’ foreign policy in regard to the Balkans (ex-Yugoslavia) was primarily designed and directed by Madeleine K. Albright who became a chief US’ war criminal at the very end of the 20th century. Who was Mrs. Albright – the author of Madam Secretary: A Memoir, New York: Talk Miramax Books, 2003, 562 pages. 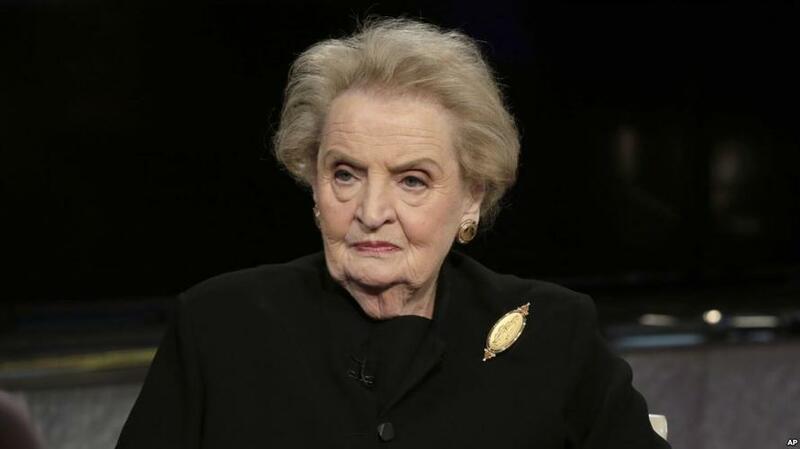 Madeleine K. Albright was born in Czechoslovakia in 1937. She was confirmed as the 64th US’ Secretary of State from 1997 to 2001. Her career in the US’ government included positions in the National Security Council and as US’ ambassador to the United Nations. The highest-ranking warmonger female hawk in the history of the US’ Government was telling an unforgetable whitewashed story of lies in her memoirs of the US’ imperialism at the turn of the 21st century. She was the first woman in the US’ history to be appointed to the post of Secretary of State (Minister of Foreign Affairs). 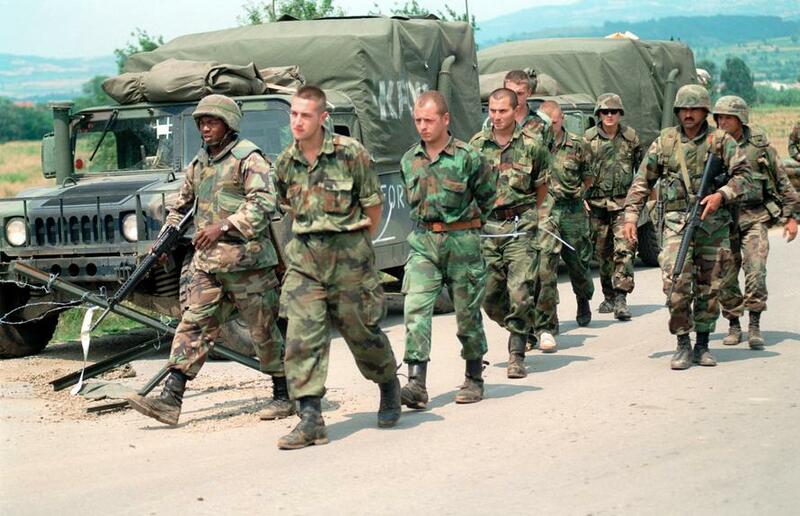 For eight years during the first and second Bill Clinton’s terms, she succeeded drastically to ruin America’s image of a democratic and freedom fighting country mainly due to her direct and crucial involvement into the US-led NATO’s aggression on the Federal Republic of Yugoslavia (the FRY) in 1999 composed by Serbia and Montenegro that was the first aggression of this organization in its 50 years long history of the preparation for the invasion of Russia. The aggression lasted for 78 days from March 24th to June 10th, 1999 and was one of the most brutal and barbaric in the modern history of the world breaking all international laws, rules of war and, most important, the Charter and principles of the UNO. Madeleine K. Albright tried in her memoirs to whitewash her extremely important and even crucial participation in the post-Cold War US’ policy of imperialism but primarily her focal role in the preparation and conduction of the US/NATO’s unprecedented war on the FRY as being one of the most influential policy-makers in her adopted country. The Madam Secretary’s memoirs are firstly the story of a woman of great warmongering character with a fascinating talent to lie and whitewash the truth. Her memoirs are surely a valuable contribution to the political history of aggressive diplomacy of the project of the US’ global hegemony after the collapse of the USSR. There are many American scientists and politicians who argued that a leadership in Europe will either be American or it will not be, since France and Germany (the axis-powers of the EU) were not too strong to take over and Germany was still in the 1990s too preoccupied with the consequences of its reunification (i.e., the absorption of the DDR). However, the recent (on November 11th, 2018) French President Emmanuel Macron’s initiative to create a joint European Army shows that probably the Europeans finally became enough matured to maintain security in their own home by themselves but not anymore under the umbrella of the US-led NATO. The question, in essence, is not if, but what kind of leadership the US has and will have in the case that the current post-Cold War’s international relations are not going to be drastically changed? In this respect, the US need to be aware that the best leadership is the one shared with other partners, in this case with the EU/NATO, more specifically France, Germany, and Britain but, of course, Russia have to be seriously taken into the consideration too. With the involvement of Russia into a common European security system on the bases of equal reciprocity, friendship and partnership, the final aim will be to obtain a common vision and an efficient coordination in conflict management, as well as in political and economic cooperation. At such a way, the cases of violent destructions and civil wars, for example on the territory of ex-Yugoslavia, will be avoided for sure. 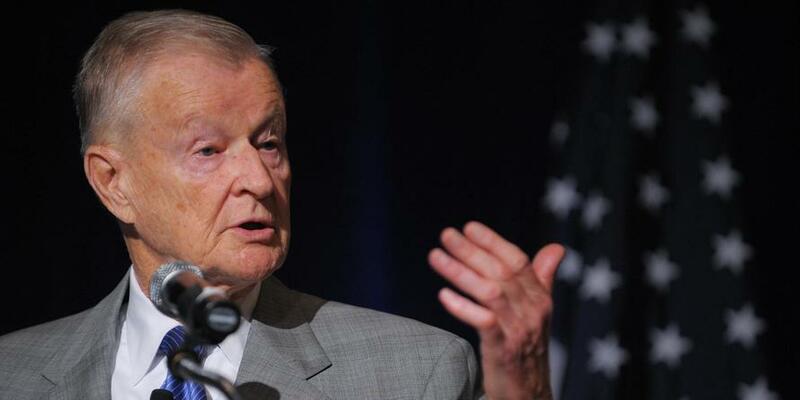 Warsaw-born Zbig (1928−2017) was a focal personality in the US’ foreign policy’s elite establishment since President Jimmy Carter’s administration in which he was a National Security Advisor. During the Ronald Reagan’s administration, Zbig was the main mediator between Washington and its clients in Afghanistan – the anti-Soviet Taliban forces and Osama bin-Laden with whom Zbig has several common photos (in 1979) on which he is training Osama to operate with just donated American guns to fight the Soviets. Further, Zbig has a great influence on the first Bill Clinton’s administration and he was at the same time an early advocate of the NATO’s eastward expansion (started in 1999). It is assumed that it was exactly Zbig who was instrumental in getting the US’ President Bill Clinton to commit himself to this course of the American imperialism in 1994. Furthermore, Brzezinski’s influence on the US’ foreign policy became stronger during the second Clinton’s administration through a Secretary of State Madeleine K. Albright – his former pupil at Columbia University. It is worth to note that Albright was working under his supervision in Carter’s administration. The brutal expansion of the NATO is very visible since 1999 and even expected if we are taking into consideration the final aims of the US’ foreign policy in Eurasia framed by a notorious foreign policy gangster – Zbigniew Brzezinski. As a consequence, the EU is going to continue to be America’s main colonial partner in the NATO’s preparations for the war of aggression against Russia and most probably at the same time China. Subsequently, there will be a need for much work and a common will to overcome violence, injustice, and suffering in order to achieve a global security without the hegemonic dominance by any great power.